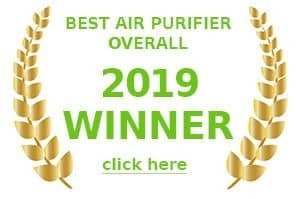 If you don’t have much time, then below you can view a comparison of my overall top Air Purifiers for 2019. If you do have a little more time and would like some advice on how to choose the right air cleaner for your home, then check out some of our buyers guide blog posts in the sidebar that are designed to help you compare and show you what to look for so you can get the best value air filter for your needs. The winner of our 2019 award for the best overall air filter goes to the Alen Breathesmart. This powerful unit is designed to service large areas up to 1100 – 1200 sq. feet. The purifier is equipped with special sensors that evaluate the amount of work that needs to be done with the air in your room. It automatically adjusts the filtration procedure in order to save power, while producing the best results. The 4 fan speeds allow you to adjust the purifier to your immediate needs and the controls are simple and well-designed for intuitive use. The filter needs to be replaced once every 9 months (approx), depending on the air quality. I really appreciated the child-friendly feature that made this unit safe to operate in the children’s room. The device can completely clean the air and get rid of the odor in about 2 hours after being turned on. The Breathe smart excelled in every test that was thrown at it. Consistently gets top reviews from industry professionals and individual user reviews are all amazingly positive. Because it’s not all about function. Some folks want an air purifier that looks good in their home too! Yes, it’s the alen machine again! So, not only is it our outstanding winner in most categories of air purification…but it looks good too! Quite simply the best air filter for home use. It comes with a range of different face plates that will help it blend into your decor with ease. Dyson have a strong reputation for taking basic household devices and making them look cool! And now they have entered into the world of air purification. Early reports suggest this is not just a fancy looking fan. There’s some serious tech to support it. The Dyson comes with true HEPA filters that removes 99.97% of allergens and pollutants down to 0.3 microns, complemented with a carbon filter to absorb odors and toxins. The Airocide was actually developed by Nasa. I don’t know if they intended to make an air filter, or if this was originally intended to bolt onto the side of a space rocket – but whatever, the result looks fantastic. As you might have guessed, the brains at Nasa have made a pretty impressive Air filter here. Excelling at removing Allergens from the air, in particular fungi, viruses, bacteria and VOC’s – the Airocide is also bladeless and filterless, so there’s nothing to clean! This unit warrants your attention not just because of the high quality but also due to its impeccable reputation. It got the best buy award from the Consumer’s digest in 2004, 2007, 2011 and 2014. The model has a very nice design with electronic controls. There are 6 fan speeds. It has a powerful pre-filter that collects 90 % of all the unhealthy particles all on its own even before the air goes through the permanent HyperHEPA filter. The unit is also equipped with a v5 cell gas and odor filter that does a good job fighting the smells. It services large areas up to 1000 sq. ft while the noise level is moderate. I can’t say that this is the quietest purifier but the noise is not bothersome. 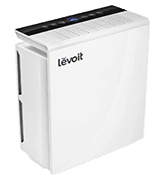 This model is one of the most effective air cleaners within this price range. It’s created to purify rather large spaces up to about 400 sq. ft, be it a spacious living room or an office. 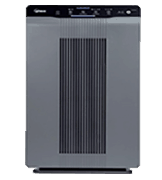 The purifier is equipped with a carbon pre-filter which is designed to catch larger particles before allowing the air to be cleaned with a certified HEPA filter. This filter does a good job cleaning out almost 100 % of pollen and spores, which makes it a great choice for people who are prone to common colds and allergies. This air filter is top-rated for its efficiency but has an unfortunate downside of being rather loud. Read our full review of the Honeywell 50250-S in the reviews section. This air cleaner is easy to use thanks to the nicely-labeled control panel. It also has a sleek design which allows it not to take too much space. Light sleepers will appreciate the absence of loud filtration noise. The adjustable fan speed makes it even easier to operate and regulate the air flow according to your wishes. This model is designed to clean the air in large rooms up to 500 square meters in size. As the unit is rather powerful for it’s size, it can produce some heat which is unlikely to be noticed in a large room but in a smaller room it could be an annoyance. The air is filtered with carbon and HEPA filters that get rid of 99.9% of all pollens, mites, and bacteria. The bonus I liked was a 5-year warranty offered by Whirpool which speaks for the quality of the product. This air cleaner is a good choice for allergy sufferers since it does a great job filtering out almost 100 % of plant pollen, mites, and moldy spores. I really appreciated the shape of this unit since it can easily fit wherever you need it without taking up too much space. It’s also easy to operate thanks to the digital control panel. This model has a time-off feature which is convenient for people who use purifiers at night or want to get the air clean before they come home. 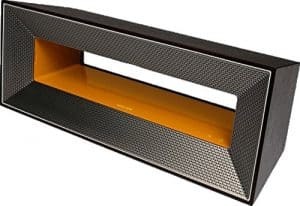 The carbon filters coupled with a HEPA filter do a great job filtering out the odors and will be appreciated by smokers or people with several pets or young children. Some air purifiers come with an ionizer. An ionizer applies a certain voltage to the built-in needles and creates electrons that go into the air. These electrons attach themselves to the air molecules and form ions. In turn, the negative ions attach to the tiny particles such as plant pollen and dander to form larger particles. The increased size of these particles makes it easier for the air cleaner to collect them. The disadvantage of these particles is that they often get stuck in the purifier’s grill, making it harder to clean. 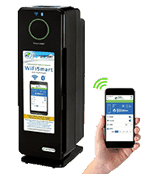 The best ion air purifiers typically work more efficiently than a regular air purifier, as long as you keep it clean and the filters are changed on a regular basis. This is true for ozone-safe ionizers only. They shouldn’t be confused with ozone purifiers. So…are ion air purifiers safe? There is a lot of hysteria surrounding these types of air cleaners as it has been discovered that air purifiers that release ozone into the air are dangerous.Ozone purifiers used in places where people live can be dangerous. Ozone is a strong and toxic air pollutant that can cause severe health problems. Ozone purifiers can be useful when applied for shock air filtering in hotel rooms or hospitals. However, short and long term exposure to ozone can lead to such problems as chest pains, coughing, eye and throat irritation, worsening of asthma symptoms, and heart disease. However, it has recently been found that any air filter that emits less ozone than 50 parts per billion (whether intentional or not) are as safe as ozone free air purifiers. Ionic technology is relatively new to the scene and certainly provides a very useful tool in the battle of air quality. 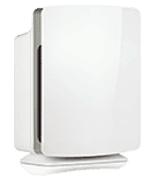 If you are not put off by these types of air cleaners, then you should check out our ion air purifier reviews. These highly-effective filters are created to get rid of differently sized particles. HEPA filters differ from others due to the way they are tested. In order for the filter to be labeled HEPA, it must catch 99.97% of the particles 0.3 microns or smaller in size. HEPA filters have a web of multiple fibers. They trap the particles 3 different ways: impaction (for larger particles), interception (for medium-sized particles), and diffusion (for smaller particles). Not all HEPA filters are the same. They are usually classified by letters from A to E, depending on how well they can filter out the particles and resist the flow. HEPA filters marked with an A are the most basic ones, while E-marked filters provide the highest quality filtration and are used for chemical or radiological particles. In order to activate carbon or charcoal, it needs to be treated with oxygen. This special treatment opens up special small holes between the atoms. These holes can trap and absorb tiny particles that contaminate the air. Such filters are especially useful for controlling the odors. With time, odor-causing particles fill the activated carbon air filter and it starts releasing them back into the air. That’s why it is compulsory to change these filters on a regular basis. Electrostatic precipitation is an efficient method of filtering out small particles from flowing air. These filters can handle large air volumes without slowing down the flow rate thanks to the low-pressure drop. Electronic precipitators are used for filtering the air in the kitchens where they need to deal with a high volume of grease, water vapor, and smoke. 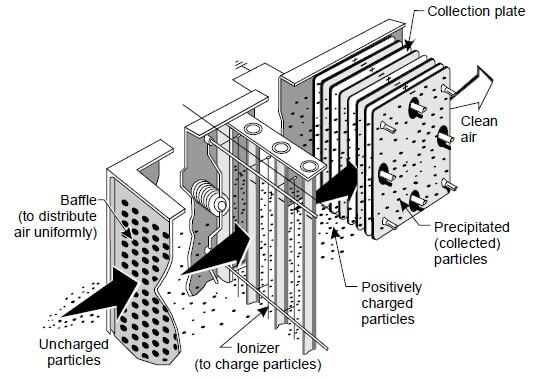 An electrostatic precipitator ionizes the grease particles and they become electrically charged. Particles can either become positively or negatively charged. Accordingly, the most efficient electrostatic precipitators are the ones that produce both types of charge. The charged particles go to the collector cells where they stay. The fresh air moves freely out of the filter. The collector cells must be cleaned on a regular basis. Whole house filters are designed to keep the air in your entire home fresh and duust free. However, they usually don’t deal with such small particles as plant pollen and dander. Accordingly, they don’t offer any protection from allergies. The air is filtrated only when the filter is running. Usually, such systems use lower grade filters. Whole home filters are not energy-efficient since in order to do a good job they need to be run around the clock. This is a useful system for people who are looking to generally freshen up the air in their homes without hoping for high-quality filtration. Such whole home air purifying systems require a professional installation. Some whole house air purifiers come with built in humidifiers or dehumidifiers depending on the climate. Be sure to ask your local HVAC technician about these. 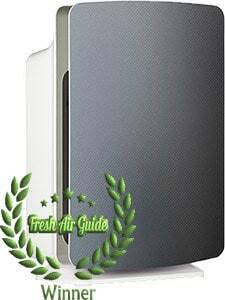 If you are just looking for a portable air purifier humidifier check out our guide on those. People who suffer from allergies can appreciate a good filter to deal with their condition. While whole house systems are not the best choice for severe allergy sufferers, they can take advantage of the following options. Tobacco smoke is hard to get rid of. Usually, regular air filters can’t deal with the heavy load thrust upon them by smoke. Smoke particles are smaller than mites and pollen. They easily stick to walls, carpets, and even lamps. In order to get rid of even the smallest smoke particles and keep the air clean, you need to purchase the highest quality air filters. Low-grade filters can’t get rid of the particles efficiently. They can just make the matters worse by running the contaminated air through the whole house and making it easier for the particles to settle. In order to deal with the cigarette smoke, you might want to consider hyperHEPA filters or air cleaners with built-in ionizers or electrostatic precipitators. Dust particles can break down into smaller particles and become airborne. Airborne particles make their way into your lungs and cause allergies. A good way to fight the mites is to deal with the mould that they need to survive. 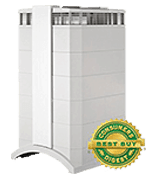 The best air purifiers recommended for such job are sterilizers. Besides getting rid of the mould problem, other particles such as dirt, dander, dead skin flakes must be dealt with. Most air purifiers can get rid of it using various filters, including ionizers, HEPA and electrostatic precipitators. Devices that are aimed at dealing with this common pest should have an automatic sensor that can tell when concentration in the air is too high. Airborne mould particles are small enough to enter your lungs and stay in the lung tissue. Some molds, such as mycotoxin, can be toxic. Many people develop an allergic reaction to it that can either appear instantaneously or start in a few hours after contact. The size of a spore ranges from 3 to 100 microns. Accordingly, the best filter for catching these particulates should remove at least 3-micron sized ones. This job can be done by all types of HEPA filters. This stands for how many cubic feet per meter of clean air your purifier delivers. CADR ratings allow you to choose the best air cleaner for your needs. The rating is usually found at the AHAM seal. There are three numbers for pollen and smoke. The higher the number is the more air the unit can filter. Smoke particles are the smallest so the smoke parameter is always listed first. Pollen and bacteria follow. AHAM recommends using the filter only if the room size in cubic feet doesn’t exceed CADR ratings multiplied by 12. In short, CADR helps you rate the efficiency of an air purifier. No matter how high-quality and expensive your air cleaner is, it won’t do a good job if you place it in a room which is too large for it. Buying a powerful purifier for a small area is a waste of money and energy. Before purchasing an air cleaner, you must consider the area it will need to service. Each purifier has a “manufacturer suggested room size”. When you go out shopping for such a device, you must have the room measurements in hand. There are three general room sizes the air filters are made for: 22 -22 m2 (215 – 220 sq. feet), 23 – 35 m2 (320 – 375 sq. feet), and 42 – 45 m2 (450 – 485 sq. feet). If your room is somewhere in between these parameters, go for a more powerful device. Noise level is one of the most important factors for light sleepers wh0 might have a serious problem with some of the louder air purifiers. If you are a light sleeper, like me, consider getting a purifier with a sleep mode that automatically lowers the noise level during the night. Large capacity purifiers produce less noise since they can do the same job at medium fan settings as low-capacity devices do at higher (and louder) fan settings. Before buying a purifier, you need to consider the amount of maintenance it requires. If your purifier has a filter, it will need to be replaced as often as the manufacturer recommends. Make sure to learn the price of such replacement filters since some can be rather expensive. You can find the average filter lifespan in the product specifications. Some models, such as air sterilizers, don’t need filter replacements at all. After you choose the type and the size of your filter and study all the information about maintenance, you might want to consider some extra features. They are designed to add convenience to the air cleaner operation and enhance its performance. It’s easy to forget when you need to change the filter. An indicator will let you know when your filter’s lifespan is coming to an end. This feature makes your air purifier more energy efficient. The sensor determines when the amount of pollutants in the air is too high and starts working automatically. It stops when the levels fall back to normal. If you see an energy star label on your air purifier, it means it’s designed to be energy-efficient and can save you money on electricity bills. 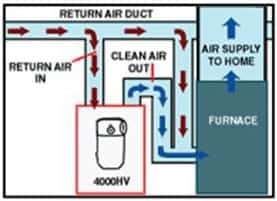 Low-grade air cleaners usually have 2 fan speeds. More advanced devices have up to 10 fan settings. The more fan speeds the device has, the easier it is to adjust it to your needs. The higher the speed is, the louder the air purifier works. Higher-grade air purifiers are usually equipped with pre-filters. These filters serve as the first screen that captures larger particles from the air. The main filter works with cleaner air and its life is extended. 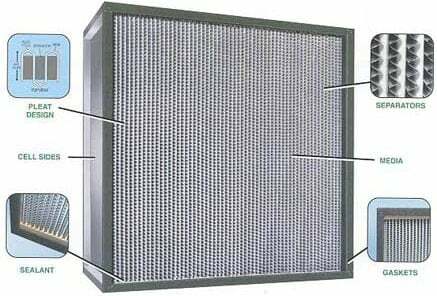 A pre-filter also allows the main filter to focus on smaller particles like dander, and pollen. Some pre-filters are reusable and washable. This can help cut the replacement costs. Some air purifiers have a built-in ionic generator that works by emitting ions that attach themselves to harmful particles and make them so heavy, they fall to the ground. This doesn’t allow them to get into your lungs. It’s important to make sure that the ionizer doesn’t produce ozone. This useful feature allows you to program your air filter to start and stop working at preset times. For example, a few hours before you get home from work. When you are choosing the characteristics of your air cleaner, keep in mind the purpose you need it for. If you suffer from asthma, you need a purifier that deals with mites and pollen. If you need to keep the air in the kitchen clean and fresh, you need a device that deals with smoke, grease, and odor and so forth. Purchasing an air cleaner for its low price might lead to getting a useless device. Accordingly, it doesn’t make sense to save on the brand. What you can save on is additional features and the number of filters that need to be replaced. An energy efficient air purifier might be expensive but it will save you more money on energy bills in the future. Your life depends on the air you breathe. Accordingly, buying a low-quality air cleaner can lead to unfortunate consequences. Ozone-releasing purifiers can be harmful to your health. If you have children, look for an air filter with child safety features that will make it safe to use at a kid’s room. Reputable brands offer good customer support and long warranties. The duration of warranty usually speaks for the quality of the product. If the manufacturer offers a 3 -5-year warranty, it’s a good buy. Large companies usually have many different service centers. By choosing a product manufactured by such a company, you have more chance to find a service center near you. Before buying an air cleaner, you should read at least a few customer reviews. Even the best- looking device might have some hidden problems that can only be noticed when it’s being used. That’s why learning other people’s opinions is compulsory to making a good buy.